The battle against polio in Nigeria is being fought not only against the disease but against social mistrust and political violence. Yet, as Laura Jiménez Varo reports, the end could be in sight. Issa’s right arm hangs slack along his little body. His mother takes his hand and lifts it to demonstrate; the arm falls limp. Then it’s grandma’s turn. She grabs the little boy’s hand, lifts it up and the arm falls again. At the third go, the child looks like he has had enough and squeezes the limb to show his strength. The amused audience claps inside the dark and gloomy room. Issa’s arm is a state affair in Nigeria. Until 2016, he was the last known victim of polio in the country. His case was registered in July 2014 when he was two. One year later, the World Health Organization (WHO) certified that Nigeria had halted the transmission of the virus and removed the country from the ‘black list’. Africa was declared polio-free, and with Afghanistan and Pakistan the only remaining polio-endemic countries, the goal of global eradication by 2019 looked plausible. 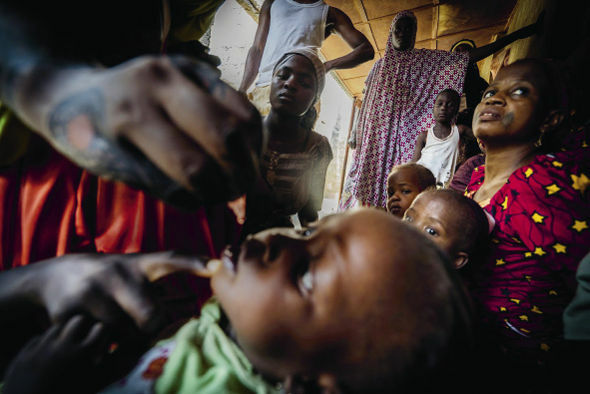 But hope vanished in September 2016, when the Nigerian government confirmed two new polio cases in the northwestern state of Borno, which is besieged by the terrorist group Boko Haram. ‘We are deeply saddened by the news that two Nigerian children have been paralysed by polio,’ said Matshidiso Moeti, regional director of the WHO in Africa, at the time. ‘The government has made significant strides to stop this paralysing disease in recent years.’ Indeed, the efforts of the Nigerian authorities had brought down the 1,222 cases of wild polio virus detected in 2006 to just one – Issa – in 2014. By the end of 2016, the number of detected cases had risen again to four. 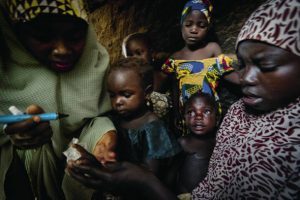 This setback shows just how hard the marathon to eradicate polio is and why the WHO has delayed the deadline for worldwide eradication year after year for the last three decades. 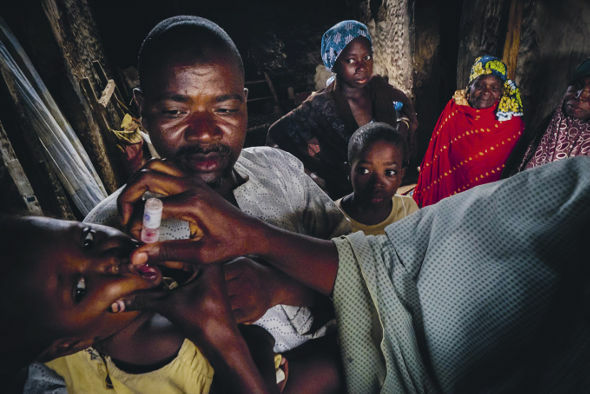 ‘Without adequate surveillance, it is naïve to think we can say even that Africa has been a year free of polio,’ pointed out Annie Sparrow, a paediatrician and medical activist, back in 2015. It’s all about the maths. Poliomyelitis, a disease that attacks the nervous system, causing paralysis mainly in children under five, has no cure. It can cause death. The only thing that can stop it is a vaccine that can be delivered as an injection or oral drops. Eliminating the virus would require immunizing between 80 and 90 per cent of all under-fives, according to the Global Polio Eradication Initiative (GPEI, a partnership of UNICEF, WHO, the Bill & Melinda Gates Foundation, Rotary International and the US Centers for Disease Control). But some children remain invisible. Boko Haram’s violence in Borno has put 60 per cent of its people beyond the vaccinators’ reach. That is 250,000 children in a region where more than half of the families reject vaccination, according to the GPEI’s Independent Monitoring Board. Issa’s mother, Binta, doesn’t care about these achievements. She worries about looking after her son. ‘He doesn’t play with the other children because when he used to go out to play he used to fall down. So he is with me all the time,’ she says tiredly. Luckily, the boy is now able to stand on his own feet, walk and even pose in front of a camera. But he still craves his mother’s attention and cries when he doesn’t have it. The family used to be non-compliant, meaning they didn’t trust the vaccine, like numerous other families in Nigeria that had been rejecting it for years. According to UNICEF data, 33 per cent of the polio cases registered in 2012 were among children whose parents would not agree to vaccinate them. The percentage is far higher than in the other endemic countries, Afghanistan (18) and Pakistan (12). Yet the rejection rate in Nigeria went down from 24 per cent in 2012 to 12 per cent in 2014. Asmau Usman, a UNICEF mobilizer working in Nassarawa district, says that some families reject the vaccinations because they feel they first need help with issues of poverty, lack of adequate food and unemployment. They can resent the attention given to polio eradication. Similarly, with malaria killing more than 6,000 people a year, people wonder why there is such an urgency around polio. Asmau recalls stories of doors being shut and parents saying their children were unavailable for vaccination when they were playing outside. In many cases, vaccine rejection was even incited by authorities willing to exploit the political capital of the polio eradication efforts. Political and religious entities, rebel groups or even terrorist organizations have taken this stance in order to favour their own interests among an often illiterate, marginalized and isolated population. In the case of the Fulani, a nomadic ethnic group in the rural north of the country, their isolation leads to a mistrust of national author­ities. ‘Sometimes maybe they feel we are here to do something bad to them,’ Mariam explains. Government neglect also plays its part. 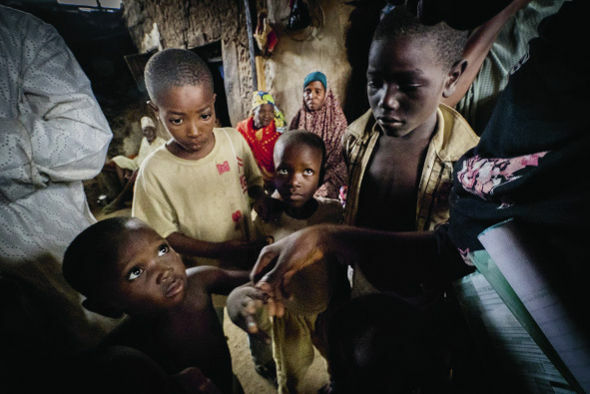 Kano is the state where the largest number of polio cases were detected between 2010 and 2013. It is Nigeria’s most populous state, but earnings are five times lower than the national average. The higher incidence of the disease here is linked to living conditions, but also to the mainly Muslim population. According to Hussam Zacharia, Emir of Kano and national co-ordinator of the Muslim Religious Leaders Forum, which partners with UNICEF and the GPEI, the vaccination campaign was viewed as an activity against Muslims’ rights by the national government, the international community and anti-polio NGOs. In recent years, Boko Haram has taken the political threat to a whole new level. The terrorist group affiliated to Islamic State has targeted GPEI’s staff, copying the Taliban strategy in Afghanistan and Pakistan. Since 2012, when nine vaccinators were shot dead, workers involved in the polio campaigns have been travelling without announcing their presence. The risks involved and the inability to access large areas in three border states – Borno, Yobe and Adamawa – led to the governments of neighbouring Chad, Cameroon, Niger and Central African Republic, along with Nigeria, declaring a public-health emergency at the end of last year to prevent the spread of polio among refugees fleeing violence. The 2016 outbreak was not the result of a new strain of the virus, but rather one that had been circulating since 2011, but that had been overlooked. After 2013, when the army deployed to combat Boko Haram, Borno became a black spot. The vaccination rate there was just 40 per cent and geographical coverage and tracking was poor. But after the declaration of the emergency in 2016, the tables were turned. More than a million children were vaccinated in five rounds of Immunization Plus Days in five months, and coverage rose to 88-89 per cent of the state. ‘We are confident that with a swift response and strong collaboration with the Nigerian government, we can soon rid the country of polio once and for all. This is an important reminder that the world cannot afford to be complacent,’ stated Michel Zaffran, WHO’s director of polio eradication. Two years after the promise was broken that Issa’s would be the last case, Nigeria is rekindling the hope of becoming a polio-free country. 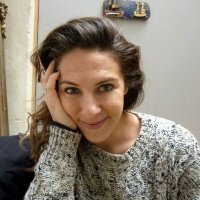 Laura Jiménez Varo is a Spanish freelance reporter. This investigative report was conducted with the support of the ‘Innovation in Development Reporting Grant’ programme of the European Journalism Centre (EJC). This entry was posted in Health, Vaccines and tagged Polio. Bookmark the permalink.